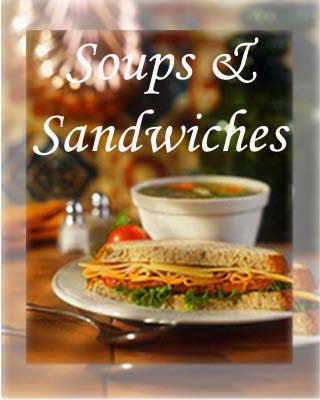 Food Swap: Soup & Sandwiches! Food Swaps are a great way to get a sampling of different variations of foods, such as a cookie swap/exchange normally held during the holidays. Well, we can continue this concept throughout the year, not just during the holidays! Food swapping is also becoming a recent food trend in which people are sharing what food they do have for other food they don't have. With the rising costs of food & groceries, let's utilize our own cooking/baking skills in the kitchen as an alternative to the grocery store. For this event, friends brought a slow cooker, Crockpot or a pot of soup, chowder, or chili. We shared our delicious creations by placing them in freezable containers for everyone to take some home and/or enjoy for lunch. To accompany our delicious soups, I provided a panini bar with various breads, cheeses, meats and fillings for some great sandwiches. As a result of this event, we all took home a whole variety of soups, chowders, and/or chilis to enjoy for the week ahead. What I love about this event is that it not only is an event for friends to score quality local food, but it also fosters a unique community by giving everyone the opportunity to actually meet the people who make what they eat. What a great idea for a food swap! Everything looks great. I'm trying to decide which to make first. I think maybe the split pea soup, but everything looks delish.